You often search online “best nutrients for healthy hair”, you bookmark several articles or hair blogs in your browser, you subscribe to a few YouTube channels which feature girls with a mane to die for. 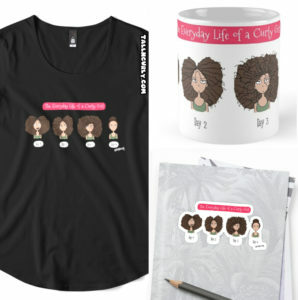 You scrutinize all the haircare information shared by people, looking for those one-of-kind regimens or products that will transform you into a full-haired goddess. You jot down on your notepad all the natural ingredients you need to be mixing to drown your hair in. The formula that will erase your deadly worry. The nagging thought that your hair is not quite healthy. The right nutrients have the power to prevent breakage, to diminish hair loss, to stimulate hair growth. But you should get them in the form of food. The question is: what exactly should you eat? Let’s take a look at a list of the best foods you should be eating regularly to help you have beautiful hair. We all know vitamins play an important role in keeping the body healthy. But when vitamins are taken as supplements, they are introduced into the body at levels that could never be achieved by eating even the healthiest of diets. It’s the combination of a whole range of complex compounds (most of which we probably don’t even know about) in plant foods that gives us the protection and the nutrition we need. Sure, sometimes supplements might be helpful for some people, but in whole foods, all those compounds work synergistically, providing more benefits together than they would separately in capsules. • Greater nutrition: whole foods contain a variety of micronutrients your body needs. 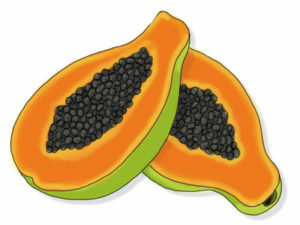 • Essential fiber: most high-fiber foods are also packed with other essential nutrients. • Protective substances: fruit and vegetables contain naturally substances called phytochemicals. You would think animal products should be the most important foods because they provide protein and minerals to strengthen hair. Although popular for their protein content, they don’t contain any dietary fiber, any vitamins, nor any phytochemicals. For this reason, the next top foods are plant-foods. Flax seeds are an excellent source of proteins, fiber, iron, and essential fatty acids. Essential fatty acids are specific fats that are critical to the proper function of your body. They include the omega-6 fatty acids and the omega-3 fatty acids. Omega-3s and iron are both known to be great for your hair, as they can support a healthy scalp, can even stimulate hair growth and can be helpful in halting hair loss. Since your body is not able to produce these fatty acids on its own, it’s necessary that you eat foods containing them as opposed to foods containing more omega-6s (found in seed oils, grain oils, meat, poultry, dairy products, and eggs), which we eat too much of nowadays. Try sprinkling some grounded flaxseeds on salads or in smoothies, or try flaxmeal or flax oil in salads and salad dressing. Other sources omega-3s include: hemp seeds, chia seeds, walnuts, avocado. Our body needs Vitamin C to make collagen, a protein that helps support tendons, ligaments and blood vessels and keeps the skin and other organs together. Hair follicles, blood vessels, and skin all require collagen to stay healthy for optimal growth. Vitamin C improves the absorption of iron from plant-based foods (non-heme iron) to ensure that there is enough iron in red blood cells to carry oxygen to hair follicles. It can also help reduce excess oil if you have very oily hair. Other good sources of vitamin C include: red bell pepper, broccoli, brussels sprouts, strawberry, pineapple, orange. 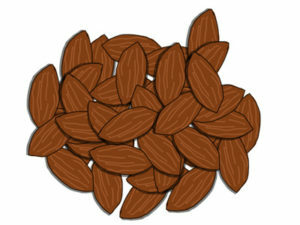 Almonds are high in vitamin E, good fats, magnesium, and especially biotin, a B-complex vitamin. These nutrients are all beneficial for healthy hair. Biotin, especially, is necessary to build healthy fats in scalp and hair, which keep them supple and moist. When ingested, biotin reacts with cell enzymes and plays a vital part in producing amino acids, the building blocks of protein. And hair gets its structure from hardened proteins called keratin. Soak natural whole almonds (not toasted, not salted) overnight to make them more digestible and eat only a handful of them every day — they may be healthy, but this easy-to-eat snack is also high in calories. 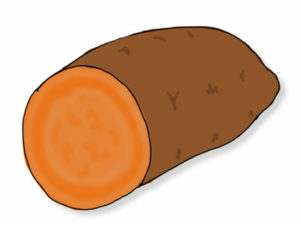 Other good sources of biotin include: sweet potato, oats, tomatoes, carrots, walnuts, brown rice. This green leafy vegetable with colorful stems is a serious superfood! It contains so many great things like minerals (iron, potassium, magnesium and zinc), vitamin A and C. It also contains the famous biotin that I mentioned previously and a small amount of methylsulfonylmethane (MSM), which aids in the production of keratin while strengthening hair follicle. MSM is said to help in tissue repair and to build collagen. Remember? That protein that keeps skin and hair tight? It’s also high in vitamin A and C.
You can eat Swiss chard raw or boil it slightly if you suffer from kidney stones and you need to reduce its oxalic acid content. 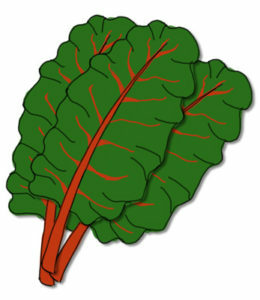 Other sources of MSM and iron include: cabbage, watercress, other green leafy veggies. Lentils are a great source of iron-rich protein, especially if you are a vegetarian. 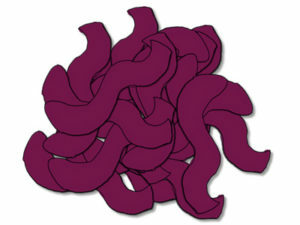 Protein is necessary for all cell growth, including hair cells. As mentioned previously, hair is a form of protein called keratin. And without enough protein for keratin, hair grows more slowly, and the individual strands that do grow are weaker. 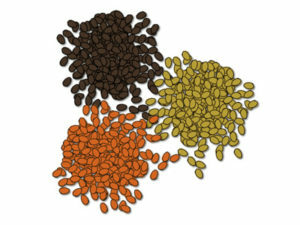 Lentils are also the most iron-rich plant foods. So you get two nutrients for the price of one. Remember: to improve the body’s to absorb iron, especially the form found in plant foods (non-heme iron), combine your iron-rich vegetables with foods high in vitamin C.
Other good sources of iron-rich plant foods include: dandelion, kale, spinach, quinoa. If you’re like me and don’t like to pop a pill into your mouth, whether an OTC pill or a vitamin capsule, eat a couple of Brazil nuts a day. Brazil nuts are jam packed with minerals, which are critical for hair growth. The one that is worth our attention is selenium, which is important in almost ever aspect of the human body. 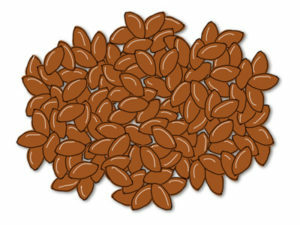 One Brazil nut holds your entire daily recommended dose, but eating more won’t make your hair grow faster. 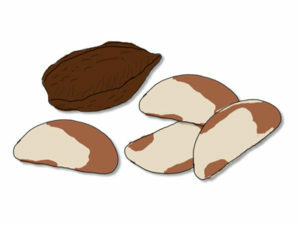 Selenium toxicity can occur by regularly eating more than 6 Brazil nuts a day. Other rich sources of minerals include: pumpkin seeds, sesame seeds, lentils, garbanzo beans, cashews, quinoa. 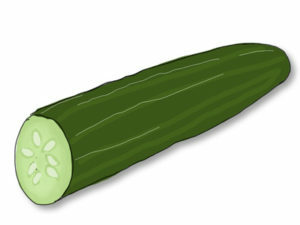 Cucumbers are rich in vitamin A and C, and minerals like silica. Silica has been proven to improve hair texture, prevent split ends, retain moisture in hair, and accelerate hair growth. So basically if your silica intake is at correct levels, your hair will have little breakage, have shine, and most importantly, will grow at a faster rate. Other good sources of silica include: mango, beans, celery, asparagus, green leafy veggies. Sea vegetables mean seaweed. Eew, right? I know some of you might cringe at the thought of eating stinky food from the sea but they offer great benefits. They are rich in iodine, which can help balance an iodine dysfunction in the thyroid glands called hyper/hypothyroidism, often responsible for thinning hair. 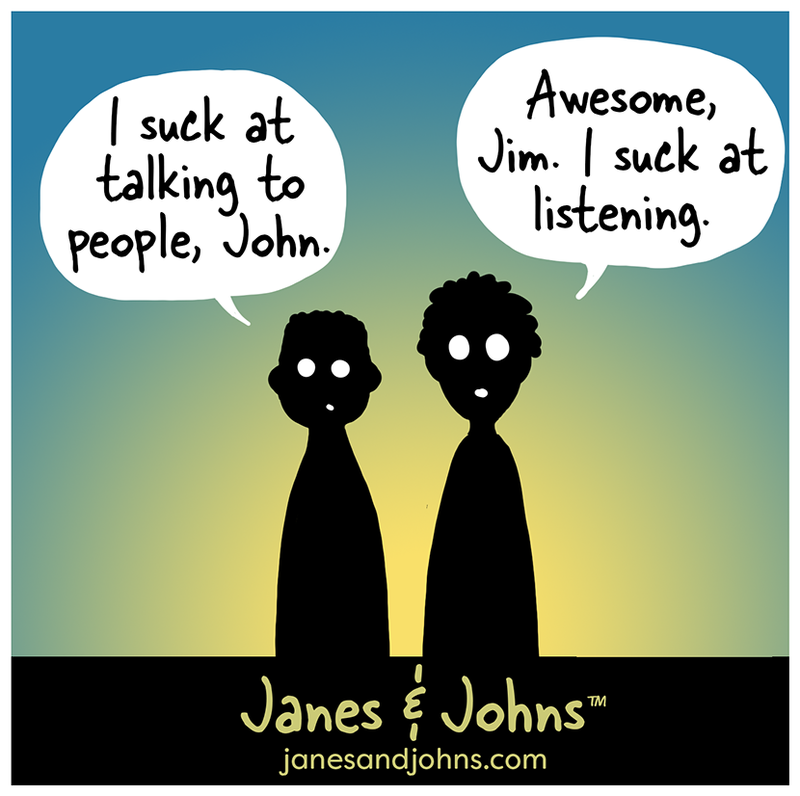 Now you’re listening? Sea veggies include kelp, nori (think maki rolls), dulse, kombu, and wakame. I love to put kelp granules or kelp flakes in my soups and salads and making a wakame salad because wakame is the least sea tasting combined with a lemon vinaigrette. While potato is the most popular eaten “vegetable” (it’s actually a tuber), its distant cousin sweet potato is one the most nutritious foods when it comes to health and beauty benefits. Sweet potatoes contain omega 3 fatty acids, minerals (magnesium, potassium, zinc) and are packed with beta-carotene, which your body converts to vitamin A, a nourishing agent for your hair. Vitamin A produces the oils that sustain your scalp and protects against dull hair and dry scalp, a leading cause of dandruff. They’re also rich in biotin and vitamin B6, which can reduce hair thinning by increasing scalp circulation and rejuvenating hair follicles. Other good sources of biotin and vitamin B6 include: sunflower seeds, banana, Swiss, chard, sweet potato, oats, tomatoes, carrots, walnuts, brown rice. Listen up! Dandelion is not just an annoying weed, it’s a powerhouse of nutrition! This herb can do miracles for your health! Every part of this plant including leaves, flower tops and root provide several health benefits. Dandelion, mostly the root, is a rich source of vitamin A, C and E as well as B-complex vitamins. Besides, it contains iron, magnesium, phosphorus, potassium, biotin and calcium, all of which play an important role in making your hair strong, stimulating hair growth and keeping hair follicles healthy and scalp oils circulating. 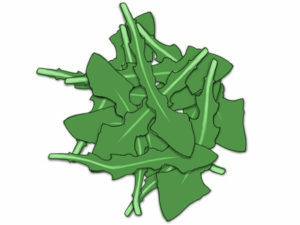 Fresh and cultivated dandelion leaves are used raw in several recipes, like green salads and smoothies (with a lot of acid tasting fruit to counter the bitterness) or cooked in stews. Other good sources of vitamin E include: sunflower seeds, almonds, spinach, Swiss chard, avocado. ARE YOU LOOKING FORWARD TO OPTIMIZING YOUR NUTRITION? You’ll have heard this advice a hundred times before. An overall balanced diet is necessary for a healthy scalp and healthy hair. When you eat the proper foods, it nourishes the cells in your body. Sure, okay. That makes sense. But you might not always get all the necessary nutrients. You need to eat the foods that contain the nutrients that would strengthen your hair. You need to choose the best ones that will give you the healthy, shiny, lustrous locks you’ve always dreamed of. Because that’s how you will get maximum benefits. That’s how you’ll prevent breakage and thinning. That’s how you’ll stimulate growth. And now you have a list of the best foods — real food rather than a handful of capsules — to add to your diet in order to nourish your hair. Don’t just think it’s good for your hair, but think it’s good for your overall wellbeing. Think of how you’ll feel once you get that head full of glowing hair. So will you get to it, right now? Note : You can leave comments and/or questions below the article, Naïby will answer you! – ATTENTION : I am not a doctor, my advice is based on my own life experiences and is not intended to diagnose any condition. For professional advice and diagnoses, please see your doctor. Naïby Jacques is one of what I like to call the sunshine little people. After being diagnosed with hyperthyroidism in 2006, she began her journey to healing and realized every cure could be found in nature. Along the way she developed her passion to help people find ways to increase raw foods into their diet. Now fully cured, live and kicking, she created Biting into life, where she teaches people who want to eat more raw foods but don’t know how or don’t have the motivation, how to eat more of them by creating delicious, quick and easy raw food meals so they can achieve optimal health, maintain the lifestyle permanently, and feel fabulous. Naiby wrote a free recipe book. If your tastebuds just woke up and you are curious, sign up here to receive it. Very interesting I have been adding more raw and organic food one at a time. 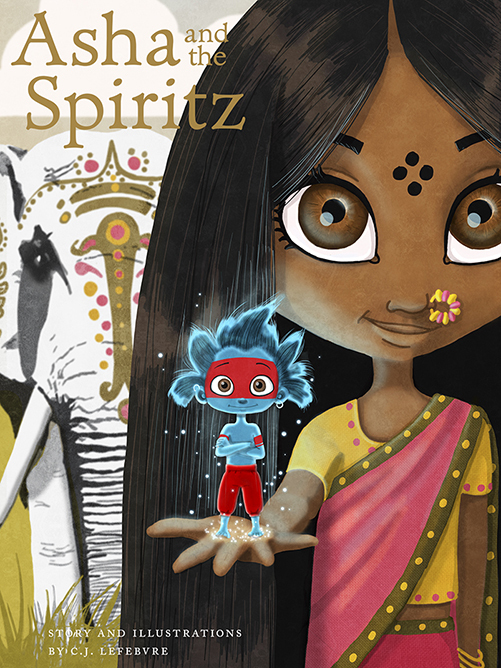 Looking forward to getting your book. I too had hyperthyroidism in the past. I know I’m on journey to better understand my body and how better to take care of it. We’re in sync. :) I love fruits and I’m downright positively biassed towards anything that’s got ‘healthy’ in front or behind it. This info is awesome! 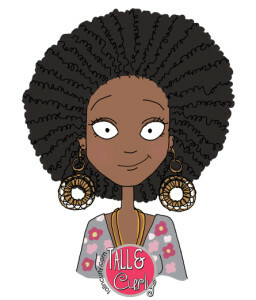 I currently take Hairfinity because I wanted to accelerate my growth after chopping due to my frustration with relaxers. However I realized that if I ate healthier I wouldn’t need to take a multi, Hairfinity, and EmergenC. Of all the foods you listed I am eating at least two of them so I feel better that I’m on the right track :) thanks for the validation girl! Thank you! Yes, people often forget the power of these little things.